The Central Bank of Nigeria (CBN), the country’s supremely reserve bank has made a decision of hiking the interest rate from 11% to 12%. It was puzzling to many financial and monetary observers because it was less than three months that CBN reduced the interest rate from 13% to 11%. Then it appeared that the monetary policy was gearing towards enhancement of liquidity, but the latest u-turn has thrown cold water to the pursuit of liquidity. The reversal by CBN was triggered by the rising inflation and the logical step at its disposal was to restrict and constraint monetary policy. With the weakening of oil price and paucity of foreign exchange, the import based economy of Nigeria is suffering greatly. Nigeria being a recalcitrant country has refused to diversify her economy and failed to invest timely on agriculture, where she enjoyed the maximum comparative advantage. Many essential commodities and food products are still imported and whenever there are restrictions in importation, it does trigger inflation. Those that bear the greatest brunt of inflationary trends are poor Nigerians. About 85 % of the population are living with stagnant or no income and are surviving with less than one dollar a day. Due to the nosedive of oil price, country generated limited foreign exchange; therefore importers rely on the parallel market for acquiring of foreign exchange at a much more exorbitant price. With fewer products in the market, the prices of food products will go up and those consumers with fixed income are barely surviving in the consumer market. In order to checkmate the surging inflation, CBN resort to hiking of interest rate. The mopping of liquidity has its downside for it will principally depress business expansion and commercial growth. The prospect of solving the issue of inflation becomes more elusive, if not dim because of the circumstances Nigeria found herself. One of the matters rising from constraints of monetary policy is the emergence of illiquidity. It implies that the interest rate of borrowing will be higher and that is a major discouragement to the business community and marketers. The inflationary trend will not be resolve by hiking of the interest rate; Nigeria’s problem is much deeper than that. Despite the attraction of higher interest rate, the investors are not coming because of country’s debilitated infrastructures, poor image, remittance policy and price instability. This is just the beginning; the more hiking of interest rate appears to be the call of the future because inflationary pressure is not going to ease due to 1% hike. The country’s reserve bank has demonstrated its limited monetary policy contribution that may become waned in face of daunting challenges as the fiscal policy of the executive is struggling to define itself. Godwin Emefiele has been screened and confirmed as the Central Bank Governor designate by Nigerian upper house, the country's Senate. The procedural screening lasted for almost 3 hours. During the confirmation and screening Central Bank Governor designate, Godwin Emefiele narrated his vision for Central Bank of Nigeria (CBN) and said that a stable and strong naira will ensured "that Nigeria maintained a strong exchange rate." He emphasized that the devaluation of naira is not in his picture of achieving a sound macro-economic stability and strong exchange control. Emefiele will replace Lamido Sanusi, the suspended CBN boss that was let go by President Jonathan for alleged financial misplacement and mismanagement. Emefiele's new position will commence in June at the expiration of Sanusi's term. Dr. Kingsley Chiedu Moghalu, Deputy Governor of the Central Bank of Nigeria (CBN), has distance himself from Sanusi Lamido, the suspended CBN governor. Dr. Moghalu is the head of the Bank's Financial System Stability directorate at CBN. He is responsible for the regulation of banks and financial institutions, which entails the management of systemic risk, and the development of finance programs . Dr. Moghalu in a exclusive interview with the British independent News said that the suspended central banker overstepped the mark. Moghalu is intellectually superior and have written many books on Nigerian economy and development . He is a renowned scholar and monetary policy expert that got his PHD from London School of Economic. Mr Sanusi had overstepped his authority. Discussing the Sanusi affair in the sidelines of the Africa CEO Forum in Geneva, he told the Independent: "The lesson that can be drawn from it is the limits of central bank independence... There is a very thin line between central bank independence and... political posturing." Bizarrely preferring not to mention Mr Sanusi by name, he went on to say: "Somebody in the central bank was taking on an activist political role. That is not our function. Central banks over the world have clear functions and in your country [Britain] and any other civilised country I know that central bank governors operate within certain expectations and constraints and respect those expectations and constraints." He added that the central bank had managed to contain the market fallout from the president's actions, pointing out that he and his fellow deputy governors were in agreement with Dr Sanusi's internationally well regarded position as an inflation hawk in favour of high interest rates to keep a lid on prices. Finally, "Life is back to normal," as Dr. Moghalu reassured in the exclusive interview. This interview shows that the policy makers are not in uniformity on how to engage the executive branch of the government. Moghalu has been the conscience of the CBN and his intellectual honesty has been held in high value and esteem especially among international portfolio and money managers around the world. The Next CBN Governor: What is Nigeria looking for? President Jonathan will be gearing up for the replacement of Sanusi Lamido Sanusi, Executive Governor of Central Bank of Nigeria (CBN) in next ten months, when Sanusi term in the office ends in 2014. From all indication it appears that Sanusi is not seeking for another term. The process for his replacement is slowly and gradually intensifying as many candidates are emerging but at the moment no vetting or serious consideration has been given to any candidate. The position is wide open and any qualify candidate can grab the prestigious but demanding position. The next CBN governor must be an excellent student of pragmatic economics. This is not to say that theoretical economics must be wholly rejected but a dose of reality is needed within the context of the country’s economy. An economy that is not sufficiently industrial but rather powered by natural resources. Head of the country’s reserve bank must be proficient and skillful in the understanding of macro-economics, especially on employment and price stability. An expert of money currency and capital markets becomes necessary to avoid unnecessary devaluation of naira by maintaining a stable currency and integrity of naira as a stabilized currency. 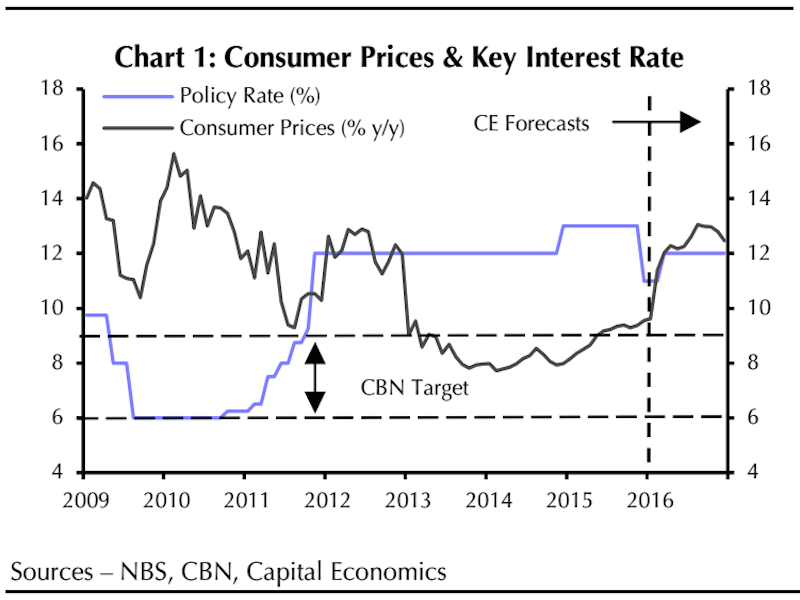 The next CBN governor must be an inflation hawk that can effectively apply monetary policy to keep inflation rate below 10 percent. An inflation rate below 5 percent may be the best for bountiful and sustainable economic growth. The high interest rate at above 12 percent will eventually dampen economic growth; the new boss at CBN must work feverishly around the clock to lower the interest rate. A high interest rate becomes a barrier to borrowing by business community and this may contribute to lower economic productivity. The below mentioned technocrats are those who can successfully do the job, if President Jonathan decides to appoint any one of them to replace the out-going Sanusi. Dr. Kingsley Moghalu: Deputy Governor of the Central Bank of Nigeria (CBN), and head of the Bank's Financial System Stability directorate. He is responsible for the regulation of banks and financial institutions, which entails the management of systemic risk, and the development of finance programs.. Moghalu is already familiar with the inner works of CBN and does not need any orientation. He is very impressive with public relation which is significant for modern running of Federal Reserve Bank. During presentation of his latest book, Emerging Africa: How the Global Economy's 'Last Frontier' Can Prosper and Matter at Woodrow Wilson Center in Washington, he was intellectually superb. Dr. Sarah Alade: Deputy Governor of the Central Bank of Nigeria responsible for Economic Policy. Alade was former Director, Banking Operations Department. She also served as Chairman Board of Directors, Nigeria Interbank Settlement System (NIBSS) as well as Secretary, National Payments System Committee (NPSC). If appointed the next governor of CBN, she will be the first woman to head Nigeria’s apex bank. Mrs Obiageli Ezekwesili is a Nigerian trained chartered accountant. Wikipedia stated , “She was a co-founder of Transparency International, serving as one of the pioneer Directors of the global anti-corruption body based in Berlin, Germany. She served as Federal Minister of Solid Minerals and then as Federal Minister of Education Since then, she has been the Vice President of the World Bank's Africa division.” Ezekwesili obtained her advance degree from Harvard University and later worked with public economist Jeffrey Sachs at Center for International Development, Harvard University. Lately, she has become a crusader for public accountability and probity. She represent the quality of woman needed to man CBN with academic brilliance, hard work and rich experience She will also be the first woman to occupy the position of governor of CBN, if chosen by President Jonathan. Are Statistical data and indices coming from the National Bureau of Statistics (NBS) delineating the reality and correlation between the economy and country's well-being? Governor Sanusi Lamido Sanusi of the country’s apex Federal Reserve Institute, the Central Bank of Nigeria and its monetary policy committees retained the benchmark interest rate at 12 percent. The market did not anticipate any change of the monetary interest rate; therefore there was no negative or positive reaction to the outcome. Sanusi's CBN cannot be accuse of not trying its best possible to utilize the tightening of the monetary policy as a tool to rein in the surging inflation, although the result has been mixed. Now CBN can realize that monetary policy alone that rests on the manipulation of the interest rate and supply of money has its limitation. Sanusi promised to hold down interest rate below 10 percent, but the subsequent disinflation was not grounded on fundamentals but on momentum and that's why it is difficult for inflation rate to stick below 10 percent. Nigeria's economy has a structural problem that cannot be corrected with tinkering of the interest rate. First and foremost the resource derived from oil based economy is not realistic indicator and determinant of a functional economy. The external forces determine the price of oil and make it difficult for Nigeria to plan and implement a realistic budget due to price gyration of oil. The instability deems it necessary that Nigeria should move beyond oil based economy. But the quick, sweet and rush of easy money from oil have not allowed the policy makers to be logical and visionary on the strategic outlook of the economy. With the regards of controlling inflation, the attention of the executive arm of government must be sought. There should be a coordinated platform to enable CBN and the presidency to work together. The fiscal policy coming from the presidency must be in tune with monetary policy of the apex bank. The point here is that as monetary tool functionality lapsed with regards to checkmating inflationary trends, then the need for putting fiscal policy into action becomes apparent. Nigerian economy is weak in spite of the robust growth it has registered. The source for the generation of foreign exchange from the economy is limited and the economy is not export orientated. A major problem of the economy; it’s the inability to produce enough jobs to commensurate to the robust economic growth. As for naira even with its recent appreciation, it is also weak and malleable when compares to dollar. To enhance the value of naira the country's war chest must be strengthened in order to withstand the threat coming from speculators. The country's reserve stood at US$ 32.64 billion in December and the inability to replenish the dwindling reserve in spite of high price of oil was due to the constant defense of the weaken naira. The CBN has eventually restored to the devaluation of naira up to N160 to $1. But the bulwark is not the panacea because it is focusing on the symptoms of the problem not on the root cause. The country does not produce arrays of agricultural and finished products to export in order to raise a quantifiable foreign exchange that can make naira stronger and that can discourage currency speculators. Central Bank of Nigeria may be happy with partial removal of fuel subsidy but that cannot accomplish the targeted purpose of propping up foreign reserve. There are immediate effects and implications that come with the removal of the fuel subsidies. The first major problem will be higher inflation which may accelerate to 13 percent or more. Then the prices of agricultural products and household products will escalate due to transportation and energy cost. The standard of living will likely to depress and that is not a good trend in a country with 70 percent of the population survives with less than two dollars a day. The increasing poverty does not augur well with the stability of society and that can be translated to higher crimes and poor security. Poverty and insecurity discourage economic development and have the propensity to encourage capital flight and weaker attraction of direct investments in the non-oil sector of the economy. The economic growth of the Gross Domestic Product at fourth quarter of 2011 was 8. 68 percent while inflation rate was at 10.3 percent in December. The fourth quarter GDP growth was impressive but it did not make a difference on the people due to lack of jobs and increasing poverty. According to the Domestic Macroeconomic and Financial Developments issued by Sanusi's Central Bank of Nigeria the "real Gross Domestic Product (GDP) grew by 8.68 per cent in the fourth quarter of 2011 up from 6.64, 7.72, and 7.40 per cent in the 1st , 2nd and 3rd quarters, respectively. The overall GDP growth rate in 2011 was estimated by the NBS at 7.69 per cent, marginally lower than the 7.87 per cent recorded in 2010. This projection is based on the estimated Quarter III and Quarter IV growth rate of 7.40 per cent and 8.68 per cent respectively. The 2012 Budget proposal assumed a growth rate of 7.2 per cent." Without doubt the data looks wonderful on piece of paper, how far does it fare in the real world? Looking at the data the Central Bank of Nigeria should have been excited together with streets and villages of Nigeria of the surging economic growth buttressed by the rosy numbers. But that was not apparent because it did not translate into more jobs. The unemployment rate stood at almost 24 percent (23.9) at the fourth quarter according to National Bureau of Statistics (NBS). But the real unemployment rate is definitely higher when urban joblessness among the youths is factored in and rural unemployment statistic is properly gathered. Due scientific and technological limitations, the unemployment number was not correct. Sanusi Lamido speaking at the lecture he delivered at London School of Economics could not explain succinctly the real reason why the unemployment was escalating despite the rosy economic growth in the country. His words, “Major bottlenecks and supply-side constraints, including enabling legal framework” have “slowed the responsiveness of some CBN reform measures.” And he continues, “The link between major growth drivers, particularly agriculture and manufacturing, continue to be weak and the required costs of the expected infrastructural needs of the economy are daunting and remained a major challenge to financial sector, “the need for a low-cost long-term infrastructure financing requires more than the CBN alone can tackle.” All he was saying that there is no answer for what is happening in the economy with regards to economic growth and higher unemployment. Sausi's CBN did some good: The Recapitalization and Quantitative Easing (QE) brought back confidence in the banking sector. The down side is that over stimulation and over supply of money may induce higher inflation. The billions of naira that was used to propped up and bail out collapse banks probably overheats the economy and that could trigger higher inflation. That will make the job of controlling inflation more difficult. Notwithstanding, CBN deserved huge credit for salvaging the failed banks but the banking sector cannot function alone to the exclusion of the whole economy. CBN cannot do it alone; the country's economic problem cannot be resolve by moping of the liquidity and tightening of the monetary tool to rein in inflation. A country with structural problem needs a committed and visionary leadership. Nigeria's economy needed to be over hauled to make it more productive, not only relying on oil export. The problem of infrastructures must be tackled not with lip service but with pragmatism. The refinery must be built and those ones in progress must be completed to bring down the price of petrol and to meet the local demands. Roads, schools, electricity and most important the security must be improved. Political instability and social unrest are gateway for capital flight and investments repatriation. Nigeriamust reject these ailments that can threaten and deter economic growth. The removal of petrol subsidy is one area that has exposed our government’s characteristic indecision and prevarication. Government’s claim to subsidy value of over N600bn per annum is considered outrageous and unsustainable as these expenses subhead alone usually exceed the consolidated capital votes for health, education and transport each year. Meanwhile, Nigerians continue to bemoan the huge infrastructural deficits in these critical areas of social welfare, but still rigidly insist on the maintenance of this oppressive expenditure pattern. Indeed, the Peoples Democratic Party led-government has continued to threaten Nigerians with petroleum subsidy withdrawal for over six years, with renewed calls and affirmation by government officials every month or so. The bombshell was finally thrown on New Year Day when the government announced the removal of the subsidy on petrol. Nonetheless, subsidy has increased from just over N100bn in year 2000 to its current value of over N600bn, while government continues to make feeble noise on the end of subsidy. The truth, of course, is well recognised by government that removal of subsidy will bring untold hardship to all Nigerians (especially those who do not have easy access to government treasury). But there is the possibility that subsidy could exceed over 70 per cent of our capital budget, if oil prices rise fortuitously to above $100/barrel in the next 12 months. If this happens, any hope that we will make any serious impact on our infrastructural deficit may well be a pipe dream together with the porous Vision 2020 strategy. I have maintained without equivocation in the last six years that it will be impossible for government to cancel subsidy (i.e. dismantle the Nigerian National Petroleum Corporation’s current petrol import monopoly) without first dismantling the monopoly of our Central Bank in the foreign exchange market, where the CBN controls over 80 per cent of all dollars traded in the market while it maintains its constitutional monopoly of all naira issuance concurrently. Needless to say that government’s dilemma on fuel pricing firmly corroborates our observation. However, we have noted how the adoption of the instruments of dollar certificates (strictly not cash) for disbursement of dollar derived revenue to constitutional beneficiaries would immediately lead to steady decline in local fuel prices such that ‘subsidy’ will become unnecessary while government will be repositioned to actually derive substantial revenue from a sales tax which can be levied without any opposition from labour. In other words, the adoption of dollar certificates will make available over N600bn for capital and social welfare enhancement in addition to a sales tax revenue of up to N10/litre on the estimated 30 million litres of fuel consumed daily. If the situation can be turned around so simply and beneficently, why is the government pussyfooting on this vital issue? The only obvious reason for government’s lack of enthusiasm to embrace this reality is that its adoption would quickly reduce the space for corruption and self-enrichment, particularly in the CBN, the commercial banks, the executive arms of government and in the bureau de change, who now serve as a collaborative conduit with treasury looters to facilitate money laundering. “The problem of petroleum subsidy has lingered for several decades and it is therefore regrettable that the CBN failed to look inward for alternative options for resolving the matter, a sine qua non – confirmed by the following cursory historical review. Petroleum products have not always been subsidised nor did the outset of subsidy result from lagging petroleum product prices relative to changes in the international price of crude oil. From its stable price of 8.8 kobo per litre in 1966-78 when there was no subsidy, petrol price rocketed by 73,700 per cent to N65 per litre today. “Also diesel which retailed at 11 kobo per litre in 1985 zoomed to 99,900 per cent or N110 per litre currently. But crude oil, even at the peak price of US$147 per barrel in 2008, rose by only 880 per cent over the 1978 level of $15 per barrel. Hence nominally, with domestic petrol and diesel prices outpacing crude oil prices by 84 fold and 114-fold respectively during the period, the culprit in the vexed subsidy is the precipitous depreciation of the naira by over 99.6 per cent since 1980 with its attendant high inflation. Doubtless, the monetary and fiscal authorities culpably left their job undone. “Accordingly, until the CBN begins to correctly infuse federation account dollar proceeds into the system so as to halt the slide of the naira and stem high inflation, removal or reduction in petrol subsidy would leave the masses worse off. On the contrary, when government flushes out (as it should) the oil sector cabal currently cornering substantial part of the subsidy, the lot of the masses would improve. Poised against the masses, Sanusi further sought to justify his position by claiming falsely that government was borrowing to pay petrol subsidy debts. The truth is that proceeds (local or external) from any volume of crude oil allocated for domestic consumption more than cover whatever shortfall that might arise because of the controlled pump price of petrol. It is beginning to look that Sanusi Lamido Sanusi, the executive governor of Central Bank of Nigeria (CBN) is stepping into a pathway of perplexing contradictions. At the time that International Monetary Fund (IMF) recommended for Nigeria to devalue naira, Sanusi was insisting that there is no need for the devaluation. He did everything he can to make it absolutely certain to every one listening that there is no logical financial reason to devalue the already malleable and soft naira. Most Nigerians were singing his praises that Nigeria has gotten a financial leader that cannot be intimidate by overbearing IMF, a leader that is not willing to be genuflecting to the international financial institutions. But apparently not, the CBN chieftain is doing Texas-Two Step backward dance. Sanusi has begun to sing a new tune; it is no more the IMF asking him to drink the bitter liquid of devaluation. The CBN titan has chose to do it for the public good as it appears to keep the economy floating as the bulwark to the anticipated nosedive of oil price, with subconsequent lower foreign reserve. The reason that is more plausible is to appease the international financial powers who are probably breathing per irately down his neck. The naira has been devalued up to N160 to $1 but the devaluation will not stop there. Go and mark this, it is a slippery slope and the devaluation will continue. But interestingly, Nigeria does not have the requisite dollar reserve to satiate the demand that comes with the devaluation. Finacial Times of London wrote: “Nigeria devalued the naira on Monday as falling reserves, caused by weak oil revenues, forced its hand. The central bank announced the naira would be pegged to the dollar within a target range of N150 to N160, up from a bracket of N145 to N155 per dollar. The bank wants to converge the official forex rates with the interbank rate and narrow arbitrage trading opportunities – the chance for investors to profit from the two different rates"
David Kahone of Financial Times further reported that, "The main reason for Nigeria’s decision to devalue, according to Renaissance Capital, the Russian investment bank, is a fall in its reserves brought about by lower than expected oil production in 2011 and a low projected oil price in 2012. Africa’s biggest oil producer derives some 75 per cent of its revenues from oil and is revising down its benchmark oil price in the 2012 budget to $70 per barrel from $75 per barrel – not an insignificant shift"
The apparent devaluation will not bring about any affirmative result that compelled CBN in first place to devalue naira. Nigeria had passed through this path before and it did not make a difference nor did it change the economic paradigm of the nation in good trends. The problem with Nigerian economy is beyond the application of monetary policy and in this case the devaluation of naira. Nigeria has major structural problem that cannot be rectify by artificial depreciation of the naira. The problem with country's economy is over reliance on oil and by thinking that the party will last forever. The idea of diversification is a lip service given by policy makers as the country is busy chasing a shadow that is merely a mirage. A nation cannot become economically independent by exporting one commodity with a weak currency which will eventually attract IMF's neo-liberal policies. As the country implement neo-liberal policies, it will not stop with devaluation of naira, the shrinking of spending on social program will follow put including the removal of fuel subsidy and banning of importation of many essential commodities. The government will balance the budget on the back of the poor people of Nigeria and suffering will geometrically increase. The major contradiction coming form naira's devaluation is threat it posed to stabilizing inflation and the further erosion of domestic value of naira. Devaluation is another method of creating more money in the circulation especially with the weaken naira. With devaluation and subsequent enormous soft naira in circulation the prices of food, goods and services will go up; that will make the ugly hand of inflation to rigidly standout and making it more difficult to rein in inflation. Then CBN will restore to further mopping of the liquidity by tightening monetary tool, thereby jacking up interest rate which will conversely slow down the economic growth. No matter from which perspective or angle one looks at the naira devaluation its benefit is quite limited and there is no optimum quantifiable outcome. One thing it can do is to discourage importation, but Nigerians are already addicted to foreign products and travelling abroad; surely Nigerians will find a way to circumvent it and continue with their addictions. The price of oil and foreign reserve have the propensity to be gyrating cyclically and using naira's devaluation to stabiles the economy is not logical at long term. It should be a tactical response to a momentarily problem but it is not strategically plausible to become the panacea. Nigerian economy is standing on a dislocated table that can be easily be pull down by forces of the market. The economy is growing at above 7 percent but without infrastructure and security the growth may not be sustainable. 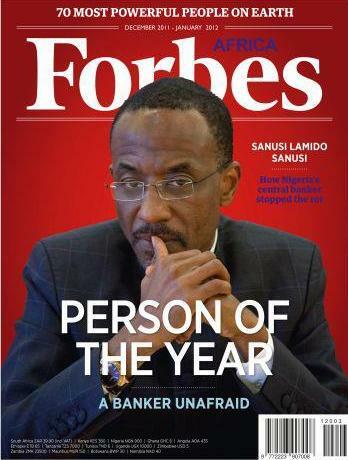 CBN's chief Lamido Sanusi may do the public good and world economy good by devaluation that will make oil cheaper. It can be accepted for a short time but Nigeria may not necessarily be the beneficiary because Nigeria does not have arrays of commodities and finished products to export. This boils down on the lopsided economy and portrays how weak the manufacturing and agricultural sectors are in the country. The source of country's earning of foreign exchange must be expanded beyond oil export by diversification of the economy. This must be made perfectly clear to the policymakers that Nigeria cannot devalue her currency to a successful economy.